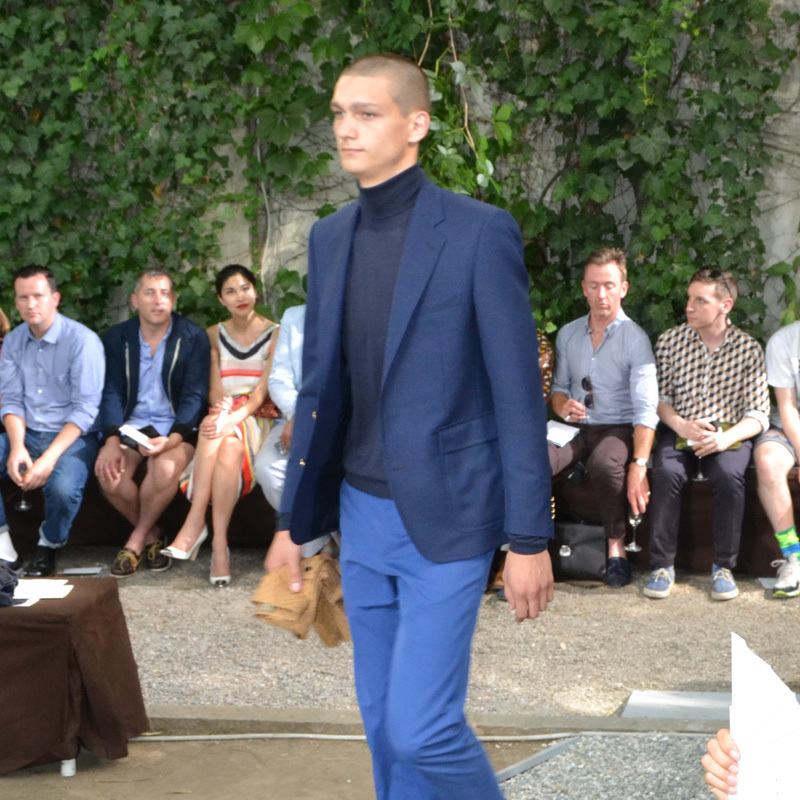 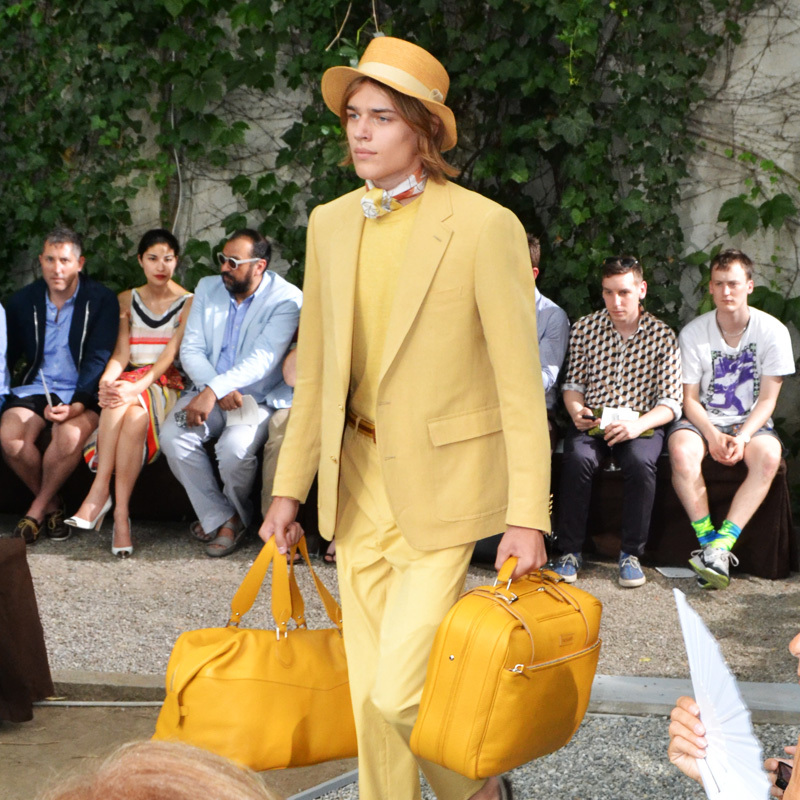 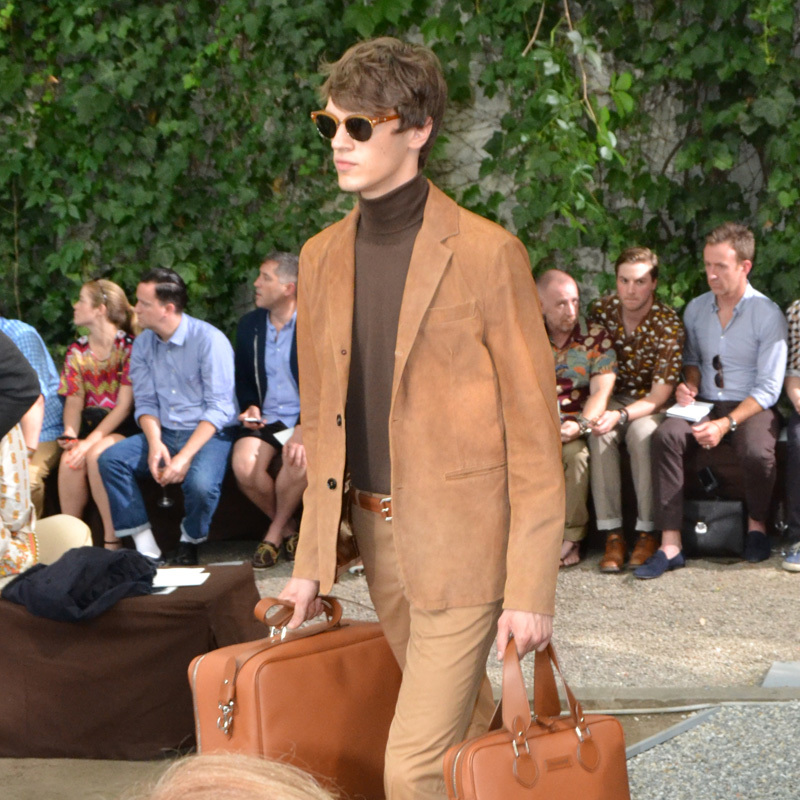 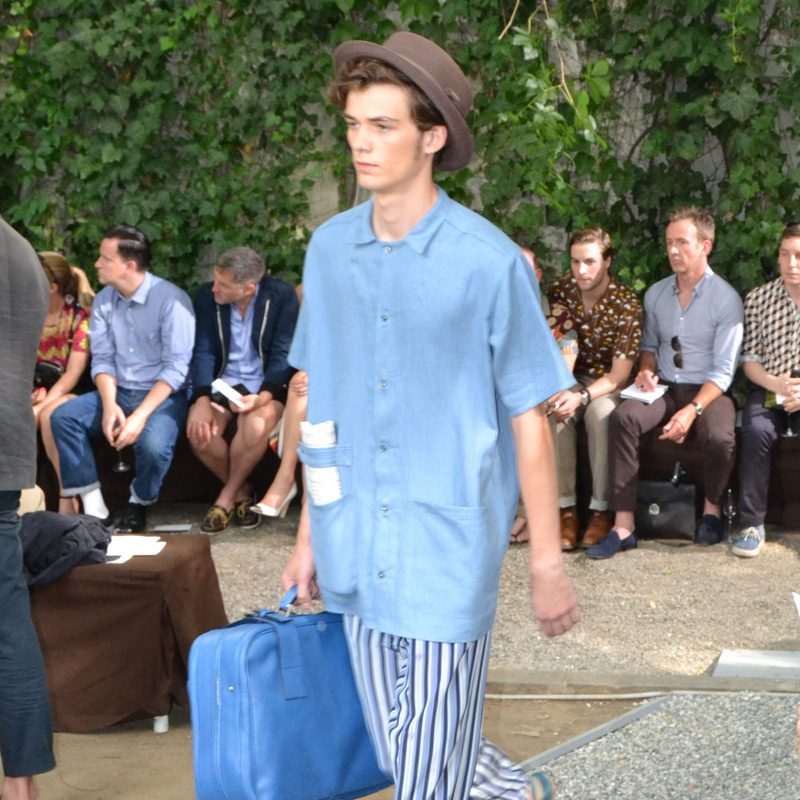 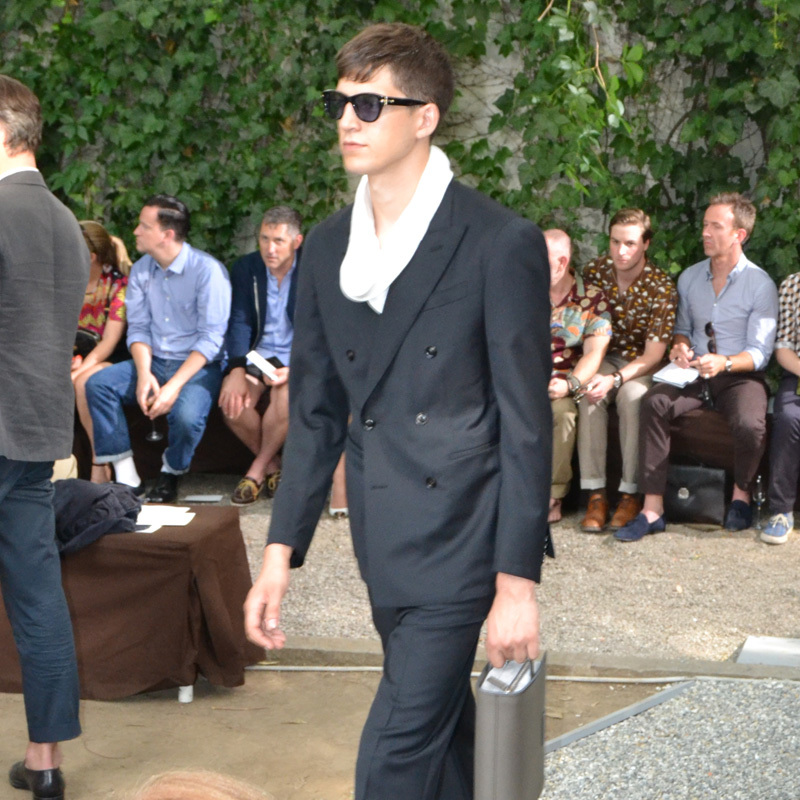 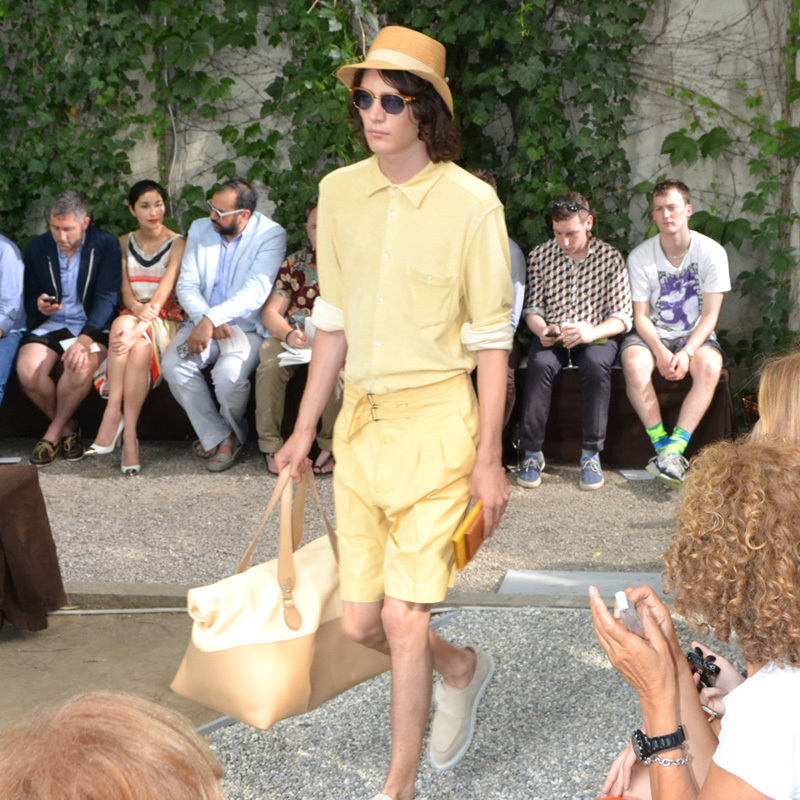 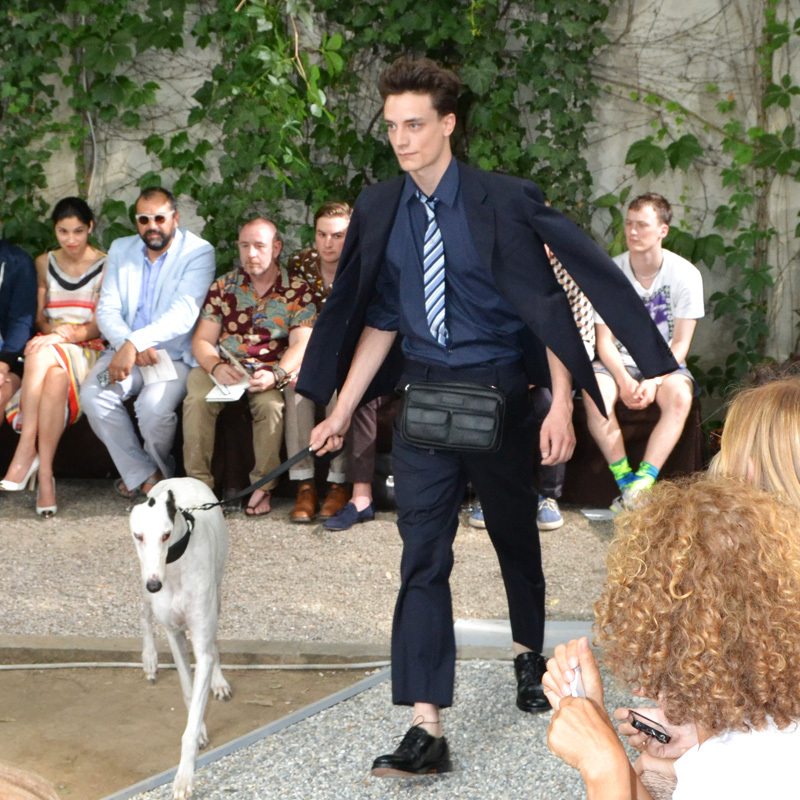 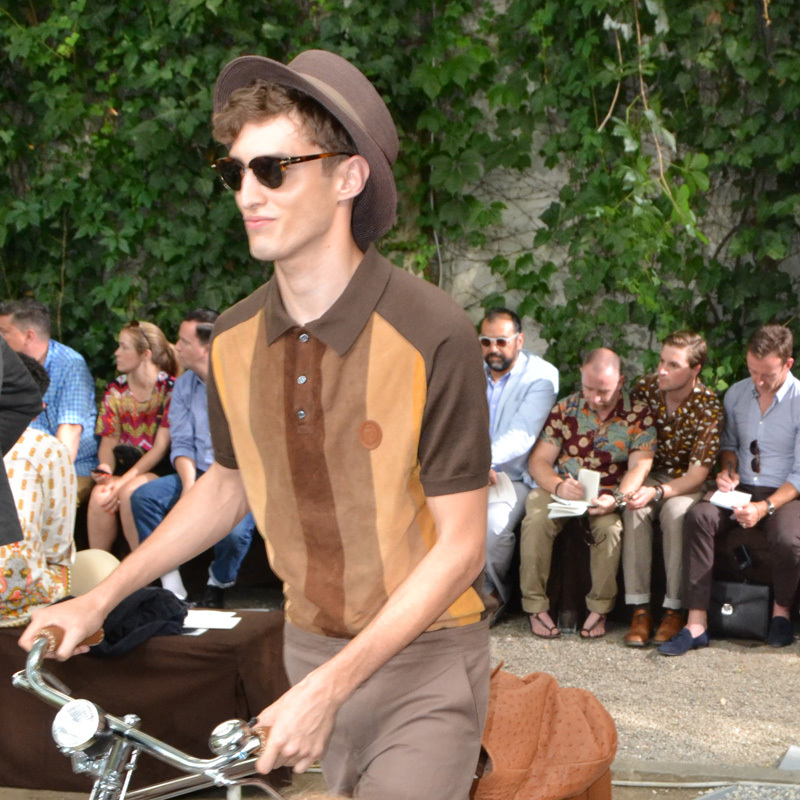 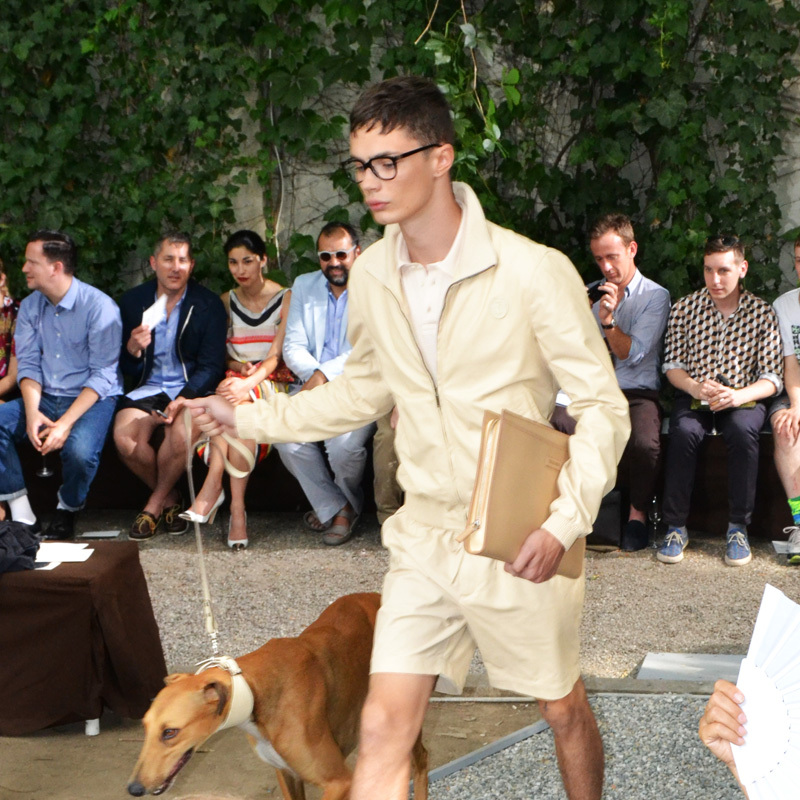 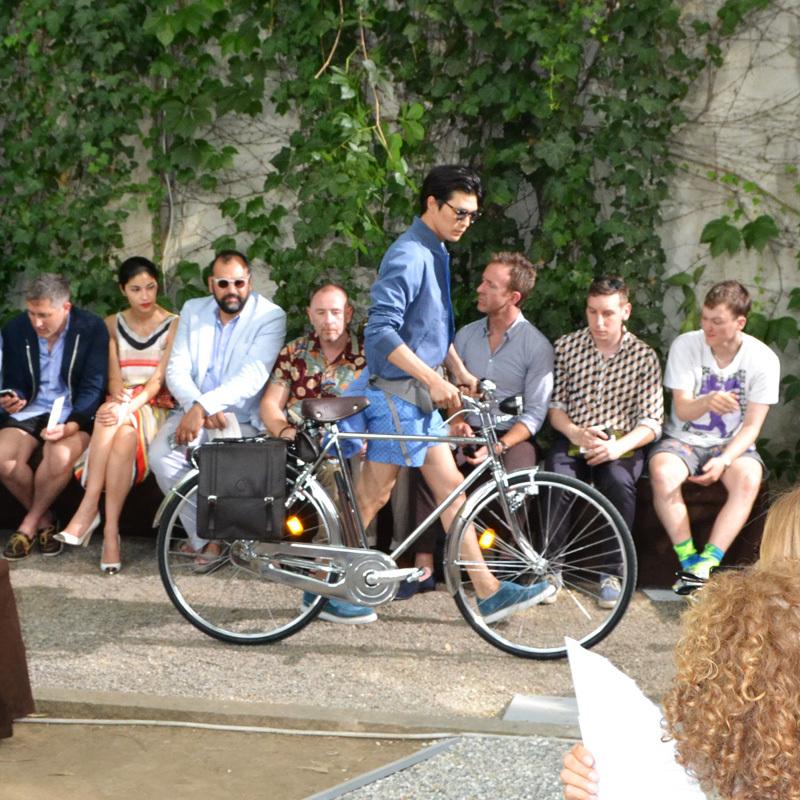 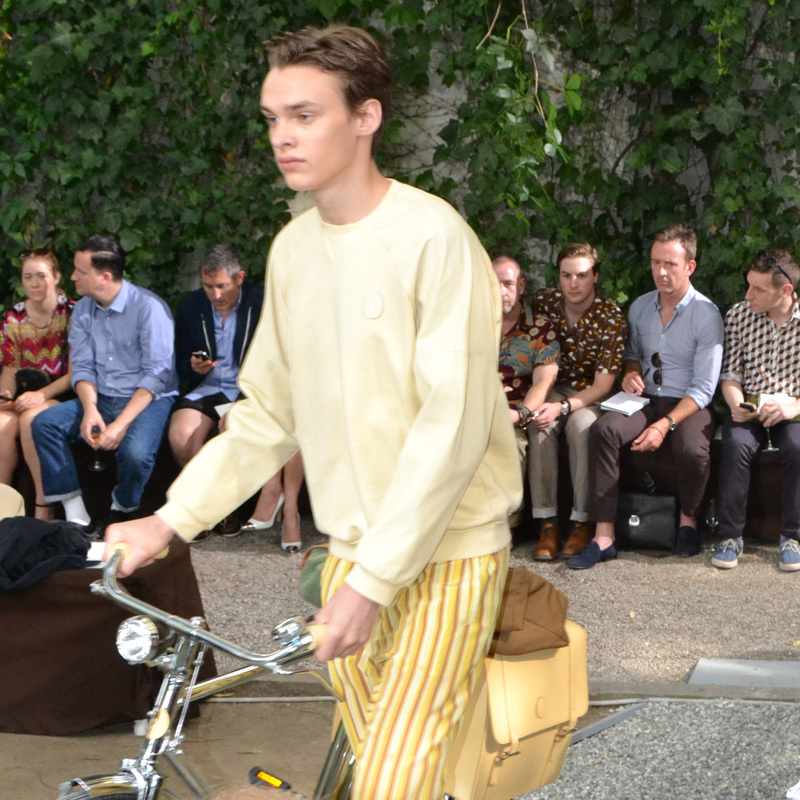 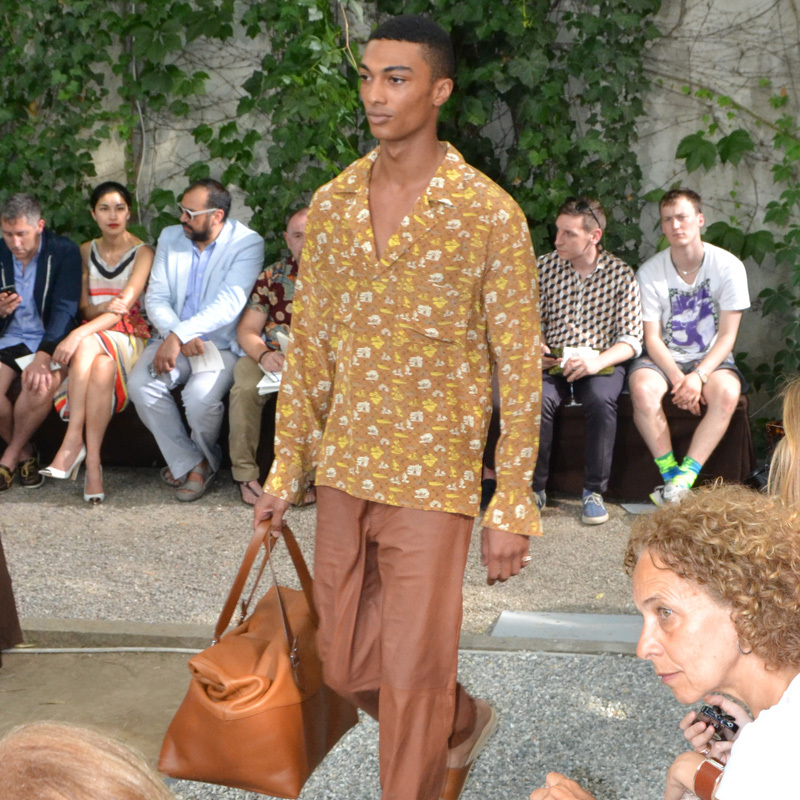 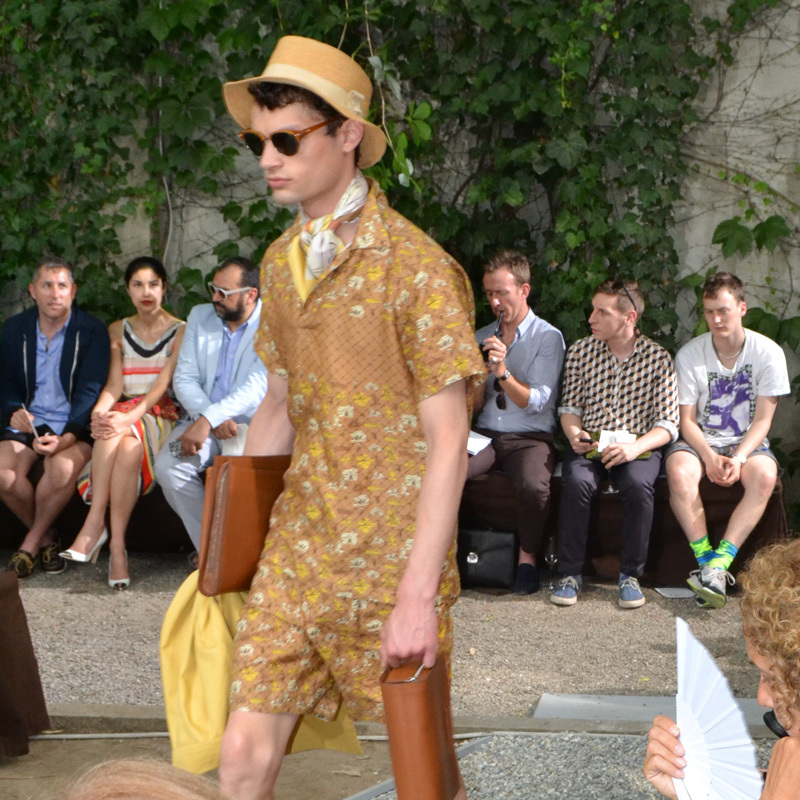 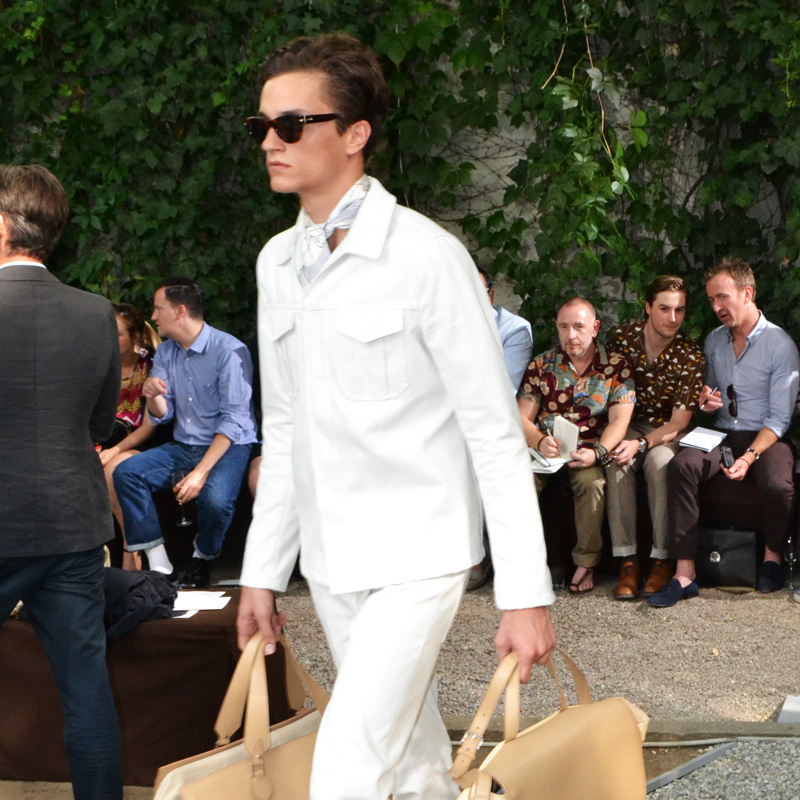 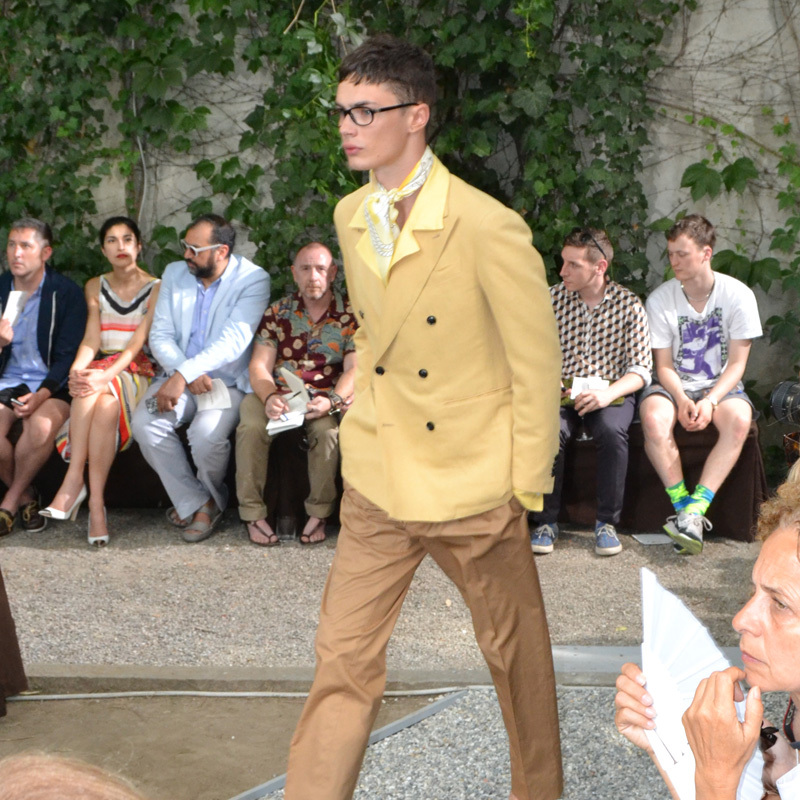 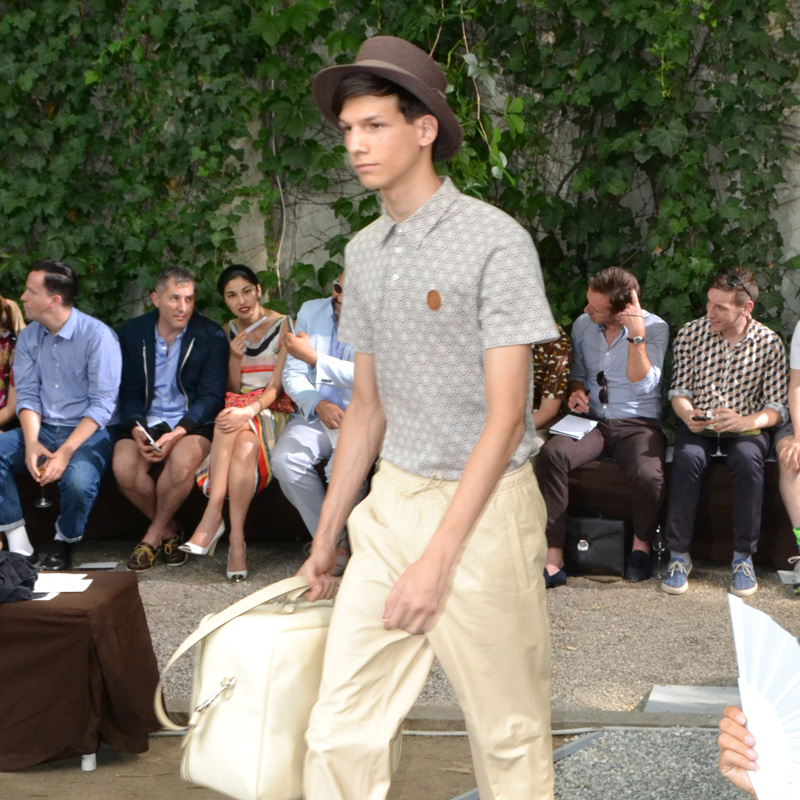 For Trussardi presenting their spring summer 2013 menswear collection was a marvelous afair arranged in a form of a garden party. 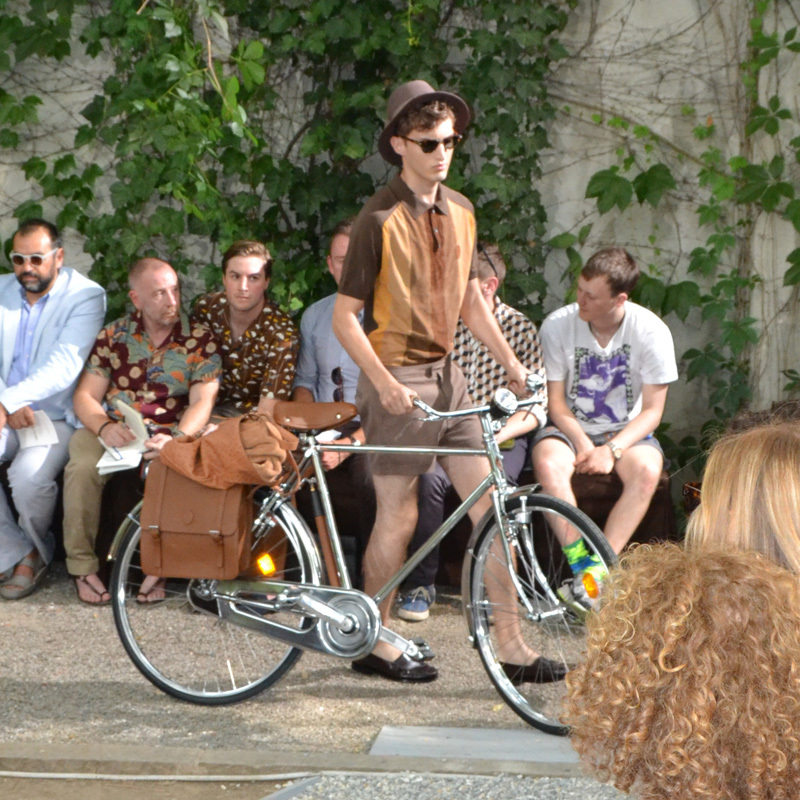 With his impeccably crafted hand luggage Trussardi men is ready for it's stylish summer vacation, however he is elegantly prepared even for a bicycle ride around the city. 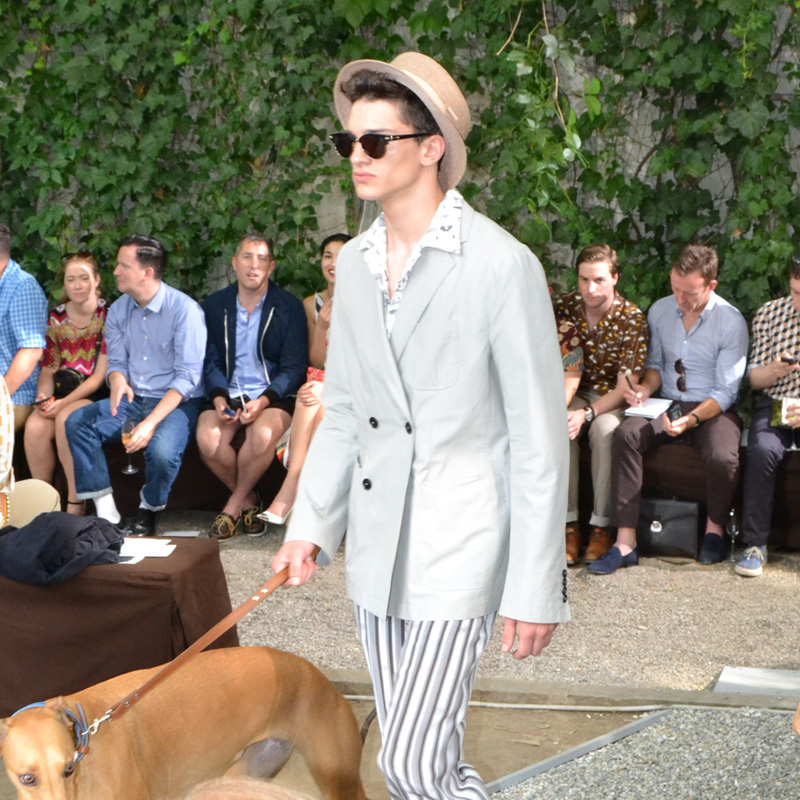 And last but not least, even a stroll around the city with men's best friend is elegantly inviting.